The ULTRAMAN anime series comes to Netflix next April. Image courtesy of Tsuburaya Productions. New key art, courtesy of Tsuburaya Productions. Tsuburaya Productions Co., Ltd. (Head office: Shibuya, Tokyo. 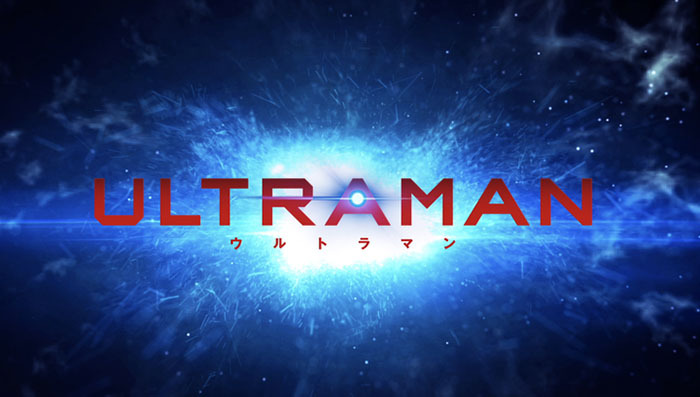 President and CEO: Takayuki Tsukagoshi) will exclusively release their new animation series ULTRAMAN (ウルトラマン, Urutoraman) worldwide on April 1, 2019. All 13 episodes will exclusively stream on Netflix in over 200 countries, including the United States and Japan. The series is based on the Ultraman manga by Eiichi Shimizu and Tomohiro Shimoguchi, which depicts a new Ultraman with a physical appearance distinct from all previous versions. The comic has been serialized in the Japanese monthly magazine HERO’S since 2011, with the English language edition available in North America from VIZ Media. Featuring full 3DCG animation, ULTRAMAN is being produced at the hands of extraordinary creators from around the world. Kenji Kamiyama, known for directing GHOST IN THE SHELL: STAND ALONE COMPLEX (攻殻機動隊 S.A.C, Kookaku Kidootai Sutando Aroon Konpurekkusu), 009 RE:CYBORG (ゼロゼロナイン リ・サイボーグ, Zero-Zero-Nine Re: Cyborg, 2012) and NAPPING PRINCESS (ひるね姫 〜知らないワタシの物語〜, Hirune Hime 〜Shiranai Watashi no Monogatari〜, 2017), has teamed up with Shinji Aramaki, the director of APPLESEED (アップルシード, Appurushiido, 2004), HARLOCK: SPACE PIRATE (キャプテンハーロック, Kyaputen Haarokku, 2013) and STARSHIP TROOPERS: TRAITOR OF MARS (スターシップ・トゥルーパーズ レッドプラネット, Sutaashippu Touruupaazu Reddo Puranetto, 2017), to co-direct this series. Production I.G. (GHOST IN THE SHELL, EDEN OF THE EAST) and SOLA DIGITAL ARTS (STARSHIP TROOPERS: TRAITOR OF MARS) are working together as the production team. 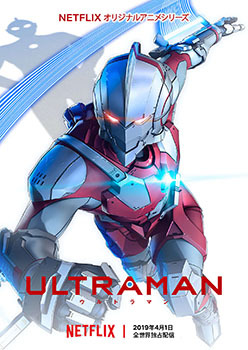 On November 27, Tsuburaya Productions released new new key artwork for ULTRAMAN, focusing on three key concepts of the series: “the protagonist is the original Ultraman’s son”, “the fate of father and son”, and “a human-sized hero”. A new preview video is now being streamed on Tsuburaya Productions’ official YouTube “Ultra Channel”. 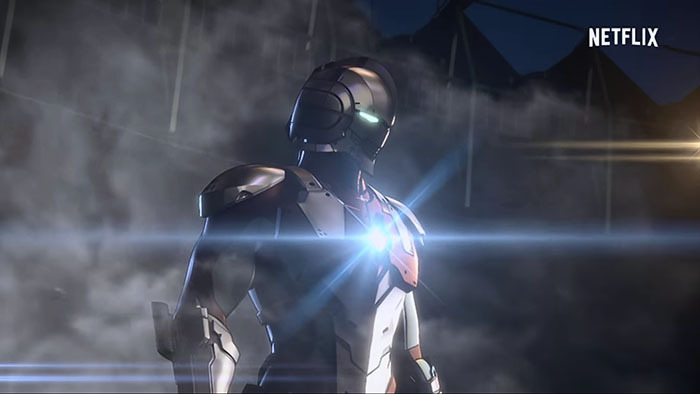 It reveals the liveliness of the anime, using the 3DCG to depict small details and the lighting for the ULTRAMAN suit. Also, the hero’s transformation scenes and Spacium Beam are shown for the first time. Stay tuned as our superhero ULTRAMAN will step up to a new level with the newest animation! There once was a Giant of Light called Ultraman who protected the Earth from monsters and alien invasions. To maintain his existence on Earth, Ultraman merged his life to Shin Hayata, a member of the international research and defense organization Science Special Search Party (SSSP). Eventually Ultraman completed his mission of combating these threats and returned to his homeland far across the universe. Hayata returned to his former life, with no memory of his time bonded to Ultraman. Humanity has lived in peace for many years. The existence of Ultraman became a thing of the past. and the headquarters of the Japanese branch of SSSP became a memorial hall to the Giant of Light. Shin Hayata’s son Shinjiro is now a high school student. Shinjiro becomes increasingly aware that he possesses abilities that separate him from ordinary people. One day, he discovers that his father was once Ultraman, and that other aliens have been coming to Earth in Ultraman’s absence. Earth once again needs the power of the Giant of Light. Having inherited those genes, Shinjiro is one of the few who can wear and operate a metallic Ultraman suit developed by Mitsuhiro Ide, Shin Hayata’s former SSSP teammate. A new hero has risen. However, this hero is not a giant, but a teenager in powered armor. The story of Shinjiro Hayata — the son of Shin Hayata, and teenager who strives and struggles to become the next generation Ultraman — now begins! 17 year old high school student Shinjiro Hayata is the son of Shin Hayata, the lead hero of the original ULTRAMAN (ウルトラマン　空想特撮シリーズ, Urutoraman: Kuso Tokusatsu Shirizu, 1966-1967) television series. Because he inherited the Ultraman Factor that remained in his father’s body, Shinjiro has some superhuman powers. In order to help his father and fight Earth’s enemies, Shinjiro has decided to take up the mantle of Ultraman in a high tech battle suit. The amazing voice cast features Ryohei Kimura, who will be playing Shinjiro Hayata, Takuya Eguchi as Shin Hayata, and Megumi Han who will be playing Seiji Hokuto. Additional cast members will be announced soon. Ryohei Kimura. Photo courtesy of Tsuburaya Productions. 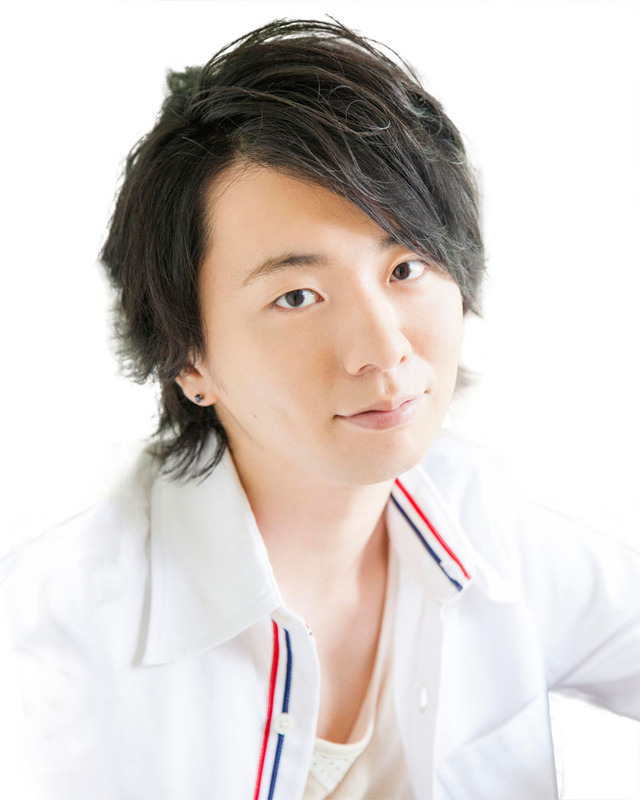 Ryohei Kimura has provided the voices for Akira Takizawa in EDEN OF THE EAST (東のエデン, Higashi no Eden, 2009), Ryota Kise in KUROKO’S BASKETBALL (黒子のバスケ, Kuroko no Basuke) and Slay in TALES OF ZESTIRIA (テイルズ オブ ゼスティリア, Teiruzu Obu Zesutiria). 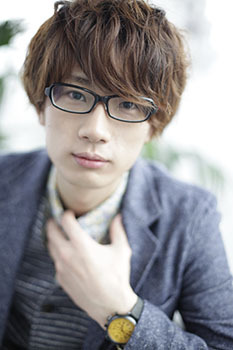 Takuya Eguchi’s voice credits include Takeo Gouda in MY LOVE STORY!! (俺物語! !, Ore Monogatari! !, 2015), Nagi Rokuya in IDOLiSH 7 (アイドリッシュセブン, Aidorisshu Sebun, 2015) and Kogoro Katsura in BAKUMATSU (2018). Megumi Han. Photo courtesy of Tsuburaya Productions. 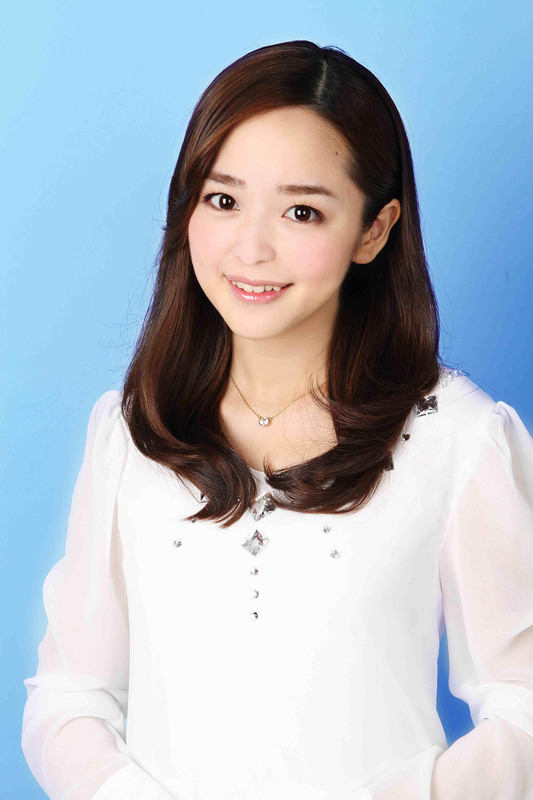 Megumi Han has voiced Gon Freecss in HUNTER × HUNTER (ハンター×ハンター, Hantaa Hantaa, 2011), Kagari Atsuko in LITTLE WITCH ACADEMIA (リトルウィッチアカデミア, Ritoru Witchii Akademia, 2017), Snow White/Cure Princess in HAPPINESSCHARGE PRETTY CURE! (ハピネスチャージプリキュア！, Hapinesuchaaji PuriKyua!, 2014-2015) and Alien Pegassa Pega in ULTRAMAN GEED (ウルトラマンジード, Urutoraman Jiido, 2017). 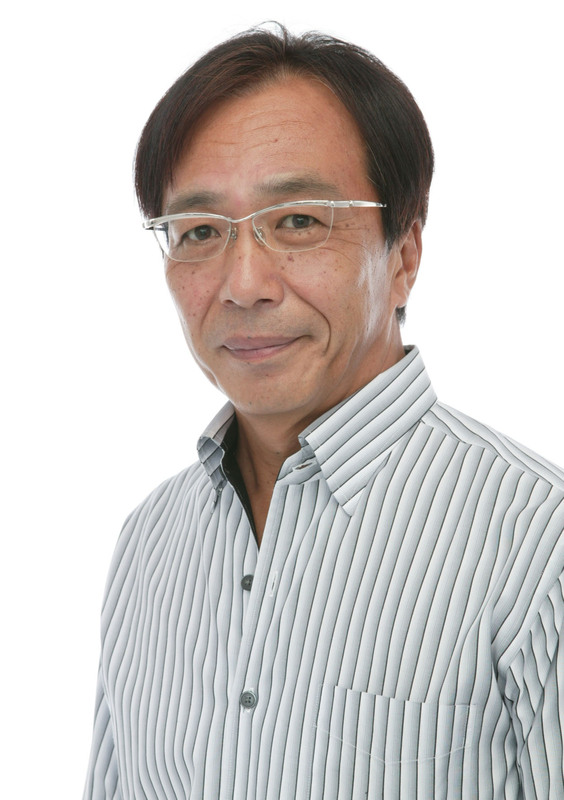 Hideyuki Tanaka has provided the voices for Donquixote Doflamingo in ONE PIECE (ワンピース, Wan Piisu), BackBeard in GEGEGE NO KITARO (ゲゲゲの鬼太郎), Ultraman The Next in ULTRAMAN: THE NEXT (ウルトラマン, Urutoraman, 2004) and Zoffy in numerous Ultraman shows and movies. He is also the narrator for TBS’ THE KING’S BRUNCH (王様のブランチ, Osama no Buranchi). The music for ULTRAMAN is created by Nobuko Toda and Kazuma Jinnouchi, film score composers who work mainly in Japan and Los Angeles. After establishing FILM SCORE LLC, a music production company specializing in soundtracks, the duo has contributed to more than sixty film, television and video game projects, providing original scores with high quality music production. Their works include the METAL GEAR SOLID series, HALO 5, FINAL FANTASY XIV DEFENDERS OF EORZEA (ファイナルファンタジーXIV新生エオルゼア), UZUMASA LIMELIGHT (太秦ライムライト, Uzumasa Raimuraito, 2014) and TIME SCOOP HUNTER (タイムスクープハンター, Taimu Sukuupu Hantaa, 2013). They have also provided music production support for composers and artists. In addition, Toda hasworked on many projects as orchestrator and music producer. Over the years, Toda and Jinnouchi have received numerous awards and honors worldwide including Outstanding Achievement in Original Music at Academy of Interactive Arts & Sciences Awards (D.I.C.E.,) and British Academy Games Awards. 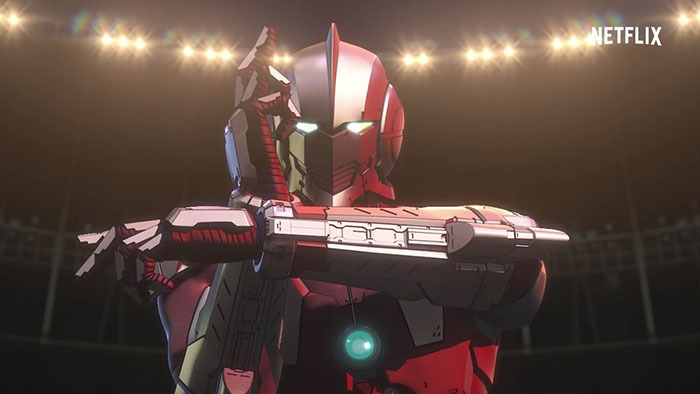 Their ULTRAMAN anime music expresses the fast movement of the must-see battle scenes as well as the emotions of the main character as he struggles with being Ultraman. Netflix is the world’s leading internet entertainment service with 125 million memberships in over 190 countries enjoying TV series, documentaries and feature films across a wide variety of genres and languages. Members can watch as much as they want, anytime, anywhere, on any Internet-connected screen. Members can play, pause and resume watching, all without commercials or commitments.